Leonard Fournette is listed as inactive today in the teams game against the New England Patriots. UPDATE: Leonard Fournette is listed as inactive today in the teams game against the New England Patriots. Fournette has been recovering from a hamstring injury he suffered in last Sunday's victory over the New York Giants. The Jaguars play the Patriots Sunday at 4:25 p.m.
GAME DAY: Can Jaguars finally conquer Tom Brady, Patriots? 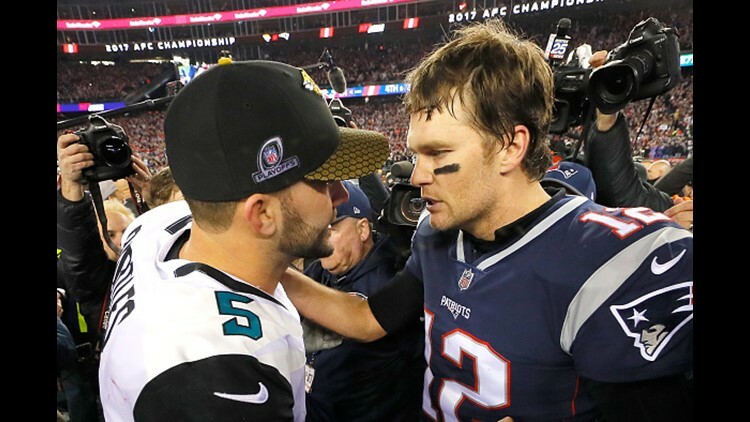 The Jaguars are the only AFC team never to defeat the New England Patriots quarterback in his 19-year career, now 0-8 (including the playoffs) against him. That slide almost came to an end in last season's AFC Championship Game, but Brady engineered a comeback from a 10-point fourth-quarter deficit to power the Patriots back to the Super Bowl.